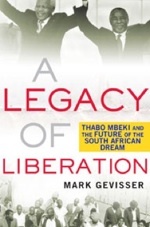 A talk by South African author and journalist Mark Gevisser. Mark Gevisser is currently The Nation's Southern African correspondent. In South Africa, his work has appeared in the Mail & Guardian, the Sunday Independent, the Sunday Times and many magazines and periodicals. Internationally, he has written widely on South African politics, culture and society, in publications ranging from Vogue and the New York Times to Foreign Affairs and Art in America. From the World Beyond the Headlines lecture series. Cosponsored by the Chicago Center for Contemporary Theory (3CT), the Political Science Department, the African Studies Workshop, and the Human Rights Program.